Trautmann begins production in Northern Ireland. Feature film Trautmann, about the life of former Man City German goalkeeper Bert Trautmann, has begun filming in Northern Ireland. Trautmann, which funded by Northern Ireland Screen via Invest NI, is the first English-language feature film by multi-award winning German director Marcus H. Rosenmueller (Grave Decisions) who also co-wrote the script. Rosenmueller has cast two internationally acclaimed up-and-coming stars, Germany’s David Kross (The Reader) as Bert Trautmann and Britain’s Freya Mayor (Sense of an Ending, Sunshine on Leith), who plays the love of his life, the daughter of his English coach, Margaret. Bert Trautmann, joined the Wehrmacht at the age of 17 and was awarded five medals for bravery by Hitler. Captured by the British towards the end of the War, he arrived in England as a prisoner of war. An English football manager noticed Bernd’s exceptional talent as a goalkeeper. His subsequent signing by Man City brought passionate protests from the people of Manchester, which had been severely bombed in the War. The local Jewish community was particularly outraged: many of them were refugees who had fled Nazi Germany little more than 10 years previously. 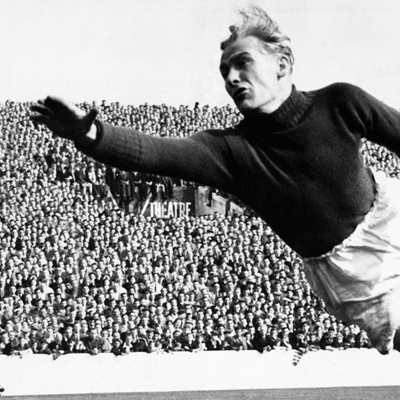 Against all odds, Bert Trautmann would eventually win over the hearts of his adopted country. He became one of England’s iconic footballers remembered for the moment when in the 1956 Cup Final in front of 100.000 visitors at Wembley he secured victory for Man City playing on despite having broken his neck. World Sales partner will be Dirk Schürhoff from Beta Cinema. The German Distributor will be SquareOne Entertaintment, who are also a Co-Producer. Degeto have secured the German Free-TV- rights for the film. Trautmann is supported by FFF Bayern, FFA, DFFF, Bayerischer Banken Fonds, Northern Ireland Screen and the UK tax credit.